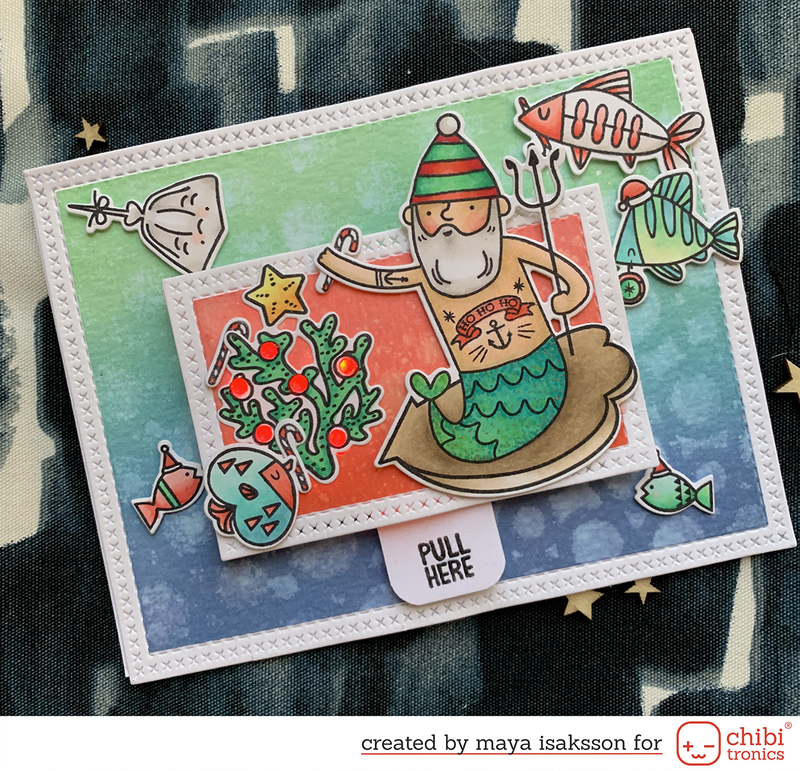 To be totally honest, I never made a one layer card except for an online class. It’s really hard and takes some planning ahead which is not my strong side. Still I got inspired to take part in CiLi in Papers monthly challenge and actually made two cards. 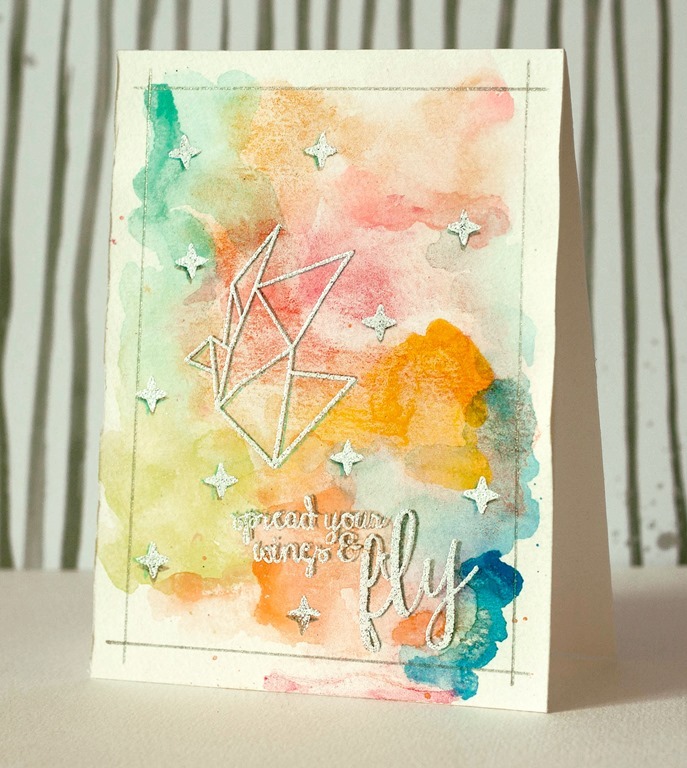 This first card was made using some Reverse Confetti stamps and water colors. After embossing the images with white glittery embossing powder the images did not show up as I had hoped so I stamped some shadows slightly offset. I like how the card turned out, I just framed it by drawing with a grey glitter pen around the edges. For my second card I was playing around with a technique I saw Jennifer Macguires use, a really cool stamping effect for solid stamps. Well, let’s say that she did a better job of making her ballons look cool but in the end I kind of liked the card anyways. 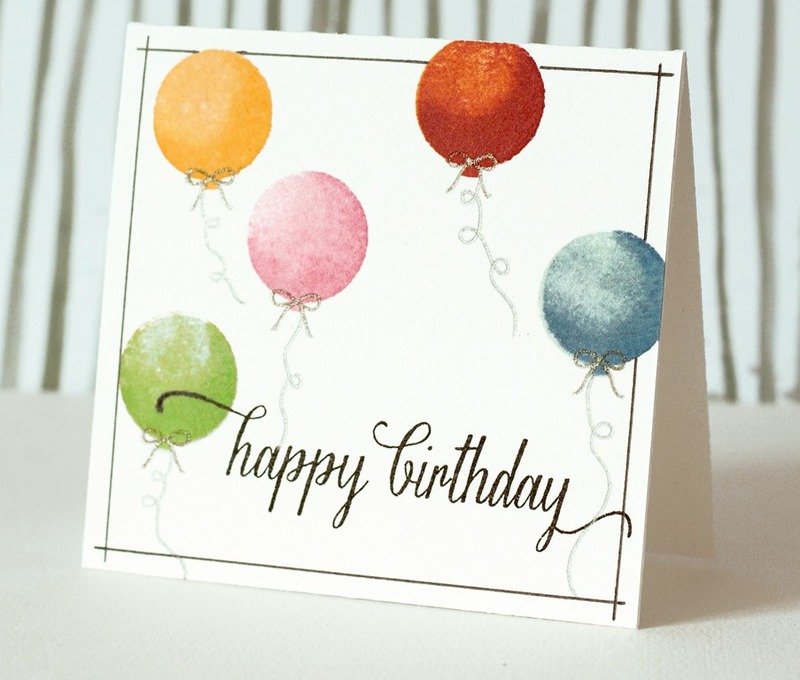 I used some watercolor paper to stamp on and that is probably why it wasn’t as crisp and I think I should have experimented a bit more with different colors but it will be a nice birthday card for someone. That’s it for today. Tomorrow there will be two post as I’m blogging for DESIGN in PAPERS and A Blog Named Hero :) See you then I hope!